Inspired by the theme of love, blush and pink; here is one cocktail that I have always loved to prepare and share with someone special. The drink has a silky texture, sweet palate and a mild tart aftertaste. 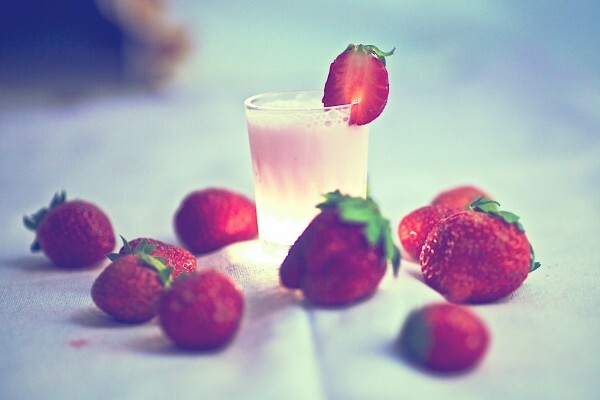 2) In a shaker, add cracked ice, rose syrup, vodka and the blended strawberries with cream. 3) Shake well and strain into a shot glass or a cocktail glass if desired. 4) Garnish with half strawberry. Serve immediately.